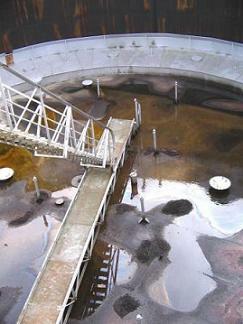 During their exploitation the above ground steel tanks bear unfavorable influence of the environment and stored product. As a result their status becomes worse and many damages are collected into a tank's structure. These damages can cause serious failures of the steel facility. Referring to this thesis the author visited many oil storage bases, where he saw and evaluated the current damages of the tanks in the exploitation. The correctness of one design decision could be better evaluated after determined period of exploitation of the facility. 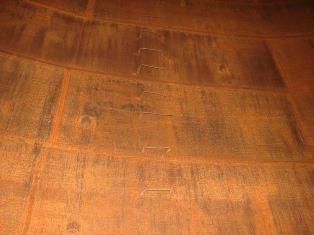 Different constructive solutions taken during the years can cause different damages of the above ground steel tanks. - movement and / or bending of annular bottom plates. - settlement of the perimeter of tank. - tearing of supporting roof columns from the bottom. - corrosion of steel structure.